I have always been a true Australian kid, I loved Vegemite. All I ever ate for breakfast was Vegemite on toast - whole grain toast, sometimes with cheese on top too. As I got older, my tastes matured, but Vegemite matured with me too. One of my absolute favourite sandwiches was seeded multigrain bread, Vegemite, vintage cheese, tomato and lettuce - if you like Vegemite and haven't tried it, do it! You might have noticed I was using the past tense there. That's because Vegemite contains the dreaded protein..... gluten. 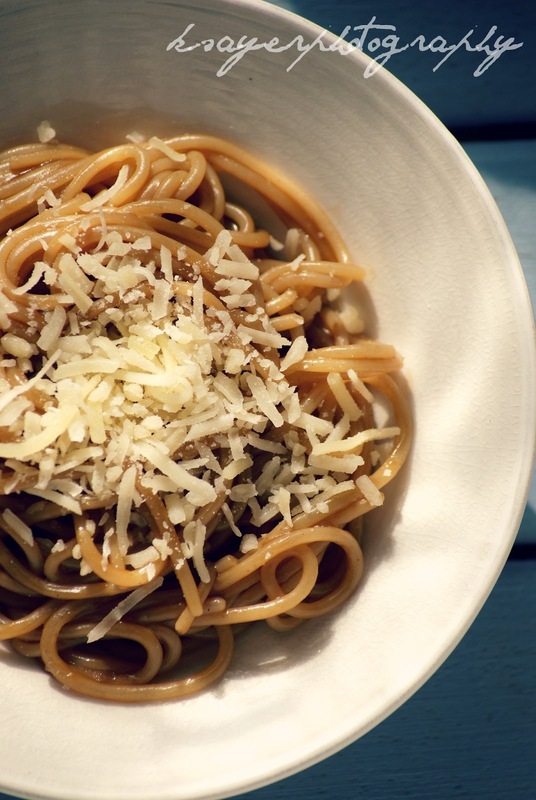 I was devastated when I first found out I could no longer have my childhood favourite spread, especially as I'd just discovered the wonderment of Vegemite Spaghetti. But thankfully, after trying a few different types, I found a suitable Vegemite alternative in Three Three's Mighty Mite! 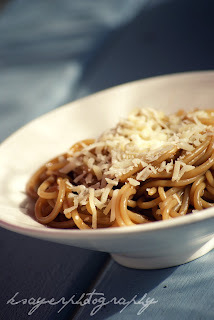 I know, you're probably thinking "What on earth is this girl thinking, putting Vegemite on pasta?!" - stay with me, you'll thank me later! 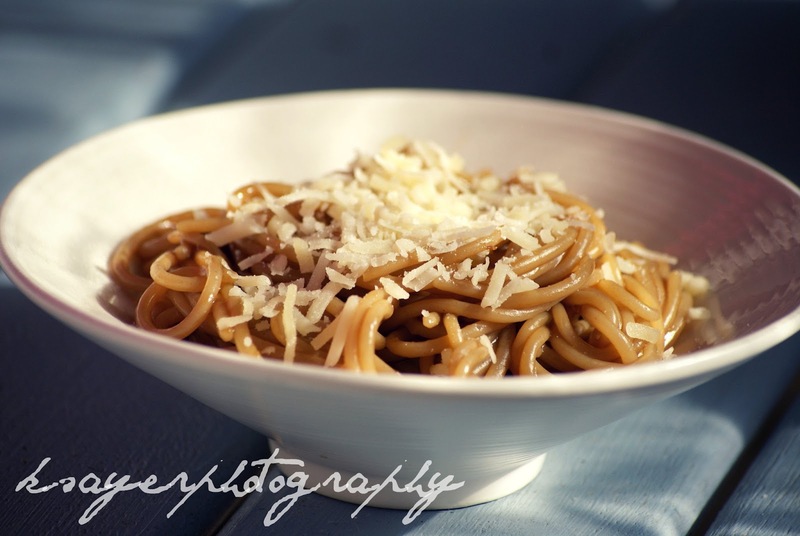 I was inspired to try Vegemite Spaghetti after seeing Nigella Lawson's Marmite Spaghetti recipe. Of course, not being a Marmite fan, I had to adapt the recipe a bit - so I came up with my own, slightly healthier and lighter version. It only uses three ingredients, takes minutes to make but tastes SO good. In a small saucepan over a medium heat, mix the Vegemite/Mighty Mite with a few teaspoons of water to resemble a "sauce". Heat the sauce until bubbles form and it starts to thicken, add pasta. Stir pasta with a spatula, scraping the sides of the pan, until the sauce coats the pasta thoroughly. Pour into a bowl or place onto a plate and top with cheese, serve immediately. 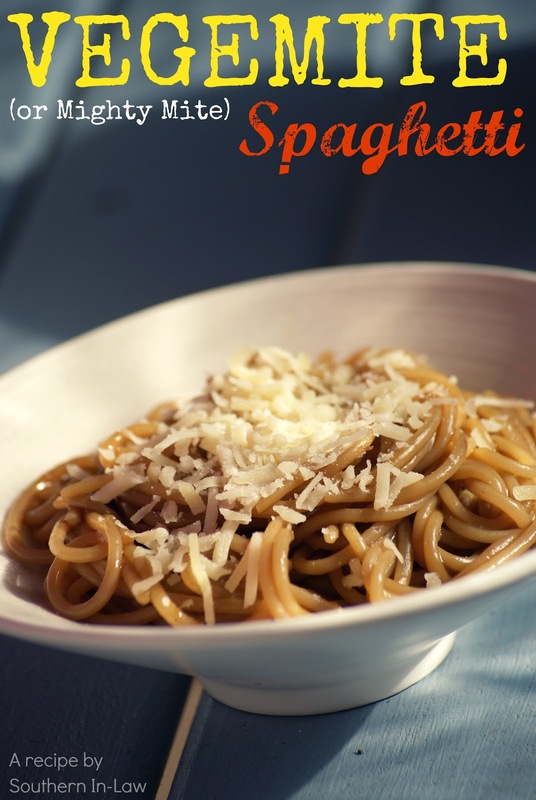 *Before going gluten free, I loved this with whole wheat spaghetti. Now that I'm GF, I use brown rice spaghetti as I find it has the best texture. So tell me, are you a Vegemite fan? and what's your favourite odd but delicious sandwich combination? On Jesse's first trip to Australia, I of course had to have him try Vegemite. At first he thought it was odd, but then the next morning he was stealing half of my piece of toast with Vegemite at breakfast. One of my favourite sandwich combinations that everyone seems to think is gross-sounding, is goat cheese and nutella. I don't know why, but the chocolate and goats cheese work superbly together. Try it! I've never had Vegemite. :-( I suspect I would like it - your spaghetti looks delish! WOW! I have never heard of something like this before. What a great idea!! It's really good! At first my family thought I had come up with another random combination, but they love it!